Hermann Hesse received critical acclaim for many of his novellas, including Siddhartha, which recounted his travels in India. Download this new poster featuring a quote from Hesse. 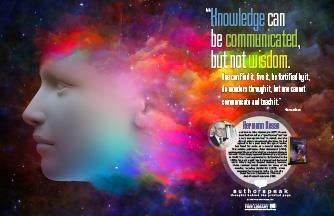 The newest AuthorSpeak poster features a quote from Nobel prize winner Hermann Hesse. Download this free poster today!